Manohar Parrikar, 63 died on Sunday evening at his residence after a prolonged battle with pancreatic cancer. He was Goa’s Chief Minister. He was the first Bhartiya Janata Party leader to serve Goa as a Chief Minister. He headed the state from 2000-2005 and 2012-2014. He joined the Narendra Modi government as Defence Minister, before returned to state politics in 2017 to lead a coalition government. “Extremely sorry to hear of the passing of Manohar Parrikar, chief minister of Goa, after an illness borne with fortitude and dignity. An epitome of integrity and dedication in public life, his service to the people of Goa and of India will not be forgotten”, President Kovind tweeted. 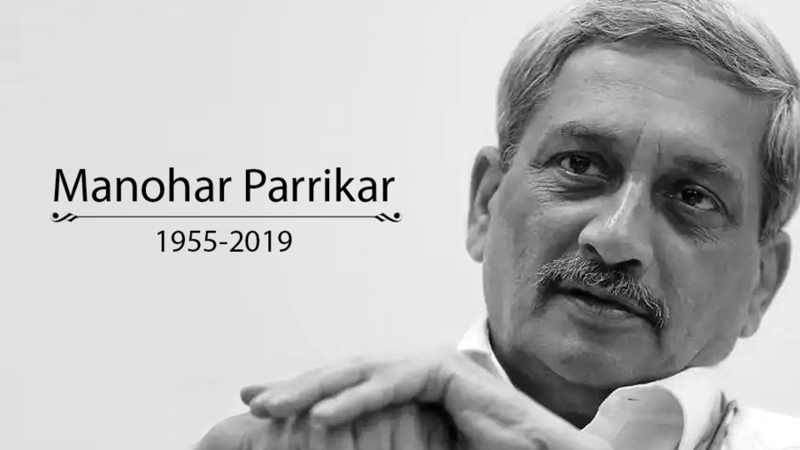 Mr. Parrikar was diagnosed with cancer in February 2018. The IITian who became a politician breathed his last at 6:15pm on Sunday. Once, a man on Scooty was hit by a Young guy in a grand car. The guy came out and said, “I am the son of Police Commisioner of Goa”. The scooty man was #ManoharParrikar. The talk of his simplicity and honesty was also celebrated among the leaders of opposition as well.